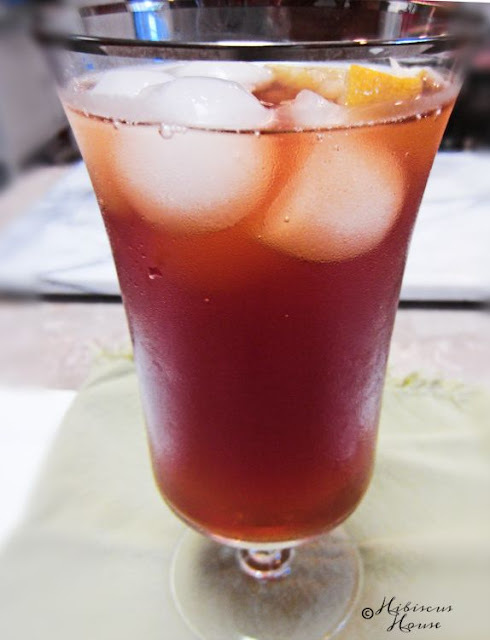 Hello sweet tea lovers! I remember years ago going to a wedding in Charleston, South Carolina and at the reception having peach flavored iced tea. It was delicious! Funny, I haven't thought about that in years. 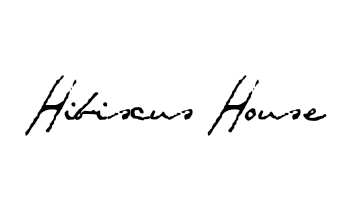 I found a great easy way to have it at home and I thought I'd share it with you. 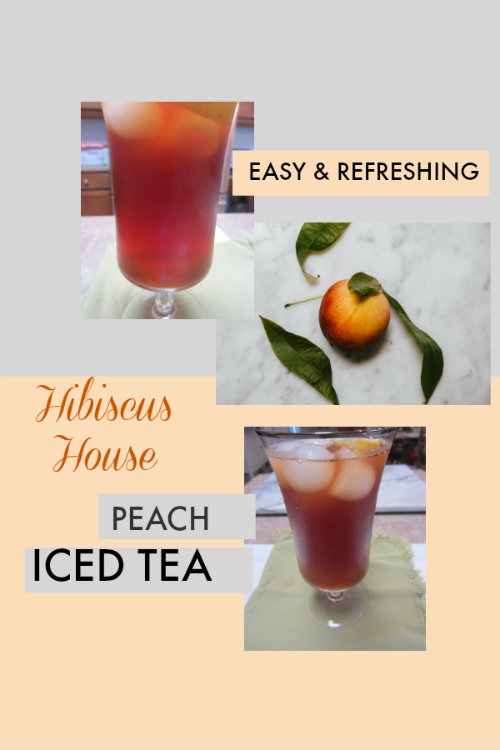 If you would like a very easy and delicious way to have your Sweet Tea with Peach this is the way to go. I found this recently and love it! I really do! You can find this at Amazon for a fairly good price. You get 6 of these little containers with 16 bags each for $24.65. I searched for a bit and that was as reasonable as I could find. 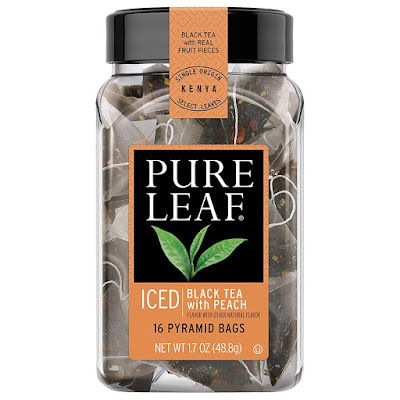 This tea is picked from tea estates around the world with real peach bits. 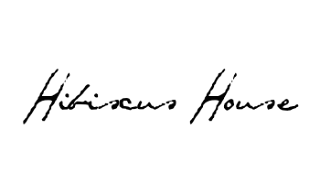 You can read all about this and their other fine teas at the Amazon link. We use Lipton and Luzianne teas around here. You use your tea of choice. Chuck has to have caffeine free, I drink both. 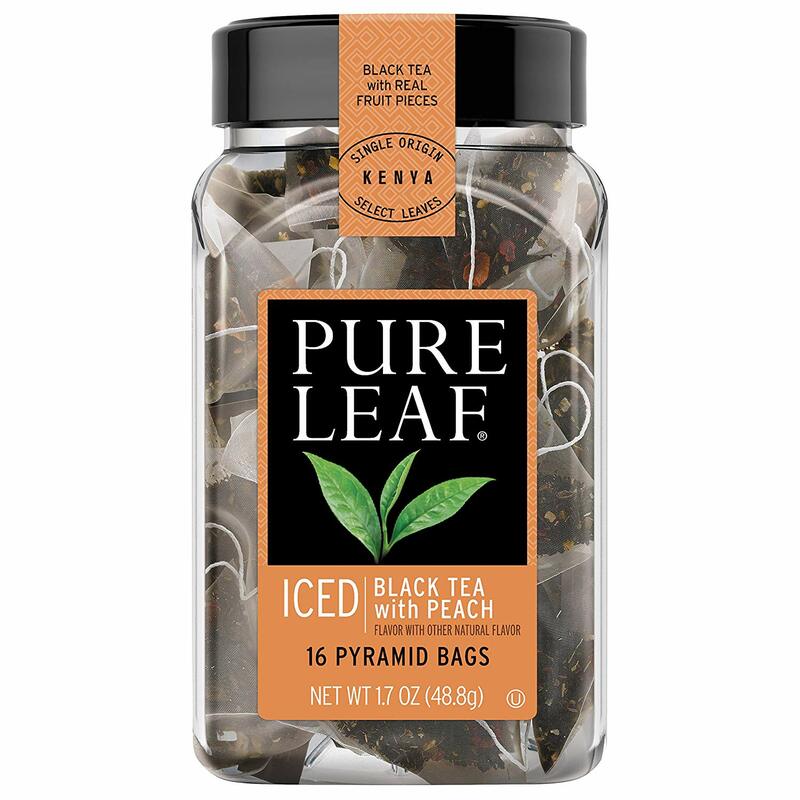 Sometimes I like mine stronger so when I make the Peach Tea I use one Lipton Family Size Tea Bag and one Pure Leaf Black Tea with Peach to the pot of water. I just add them from the beginning. Bring to a boil. Now this is your choice if you boil or remove when it begins to boil. I choose to boil a little then just before it looks like it may boil over turn stove off. I then let mine sit there for at least 5 minutes before making uncovered. You can remove from stove and cover for the 5 minutes as well. Of course if you've boiled it too much remove immediately, set aside on hot pad and cover to steep. Carefully pour hot tea into pitcher, using a large spoon to hold the tea bags in pot. Mash with back of spoon the water from the tea bags. Stir the hot mixture to dissolve the sugar well. Add cold water to the pot with tea bags still in, mash with spoon to remove all of the tea left in them into water. Do not burst your tea bags with sharp edge of spoon, use back only. Add the cold water until your pitcher is full. Let cool, if you wish then refrigerate and serve. You may serve while hot over ice as well, you'll just have to add more ice. Garnish with lemon, peach slices, or mint if you choose. You may know that I can peaches yearly. We love them here and there is no better way to save them than to can. While heating them through in the light syrup it really gives a peach flavor with bits of peach left behind. They syrup is just too expensive to simply throw away, not that I would. I've been known to make a pot of tea and add some of the syrup omitting the sugar. You simply make your tea and then when pouring into your pitcher add some syrup as well. You will have to taste as you go to see how much to add. There have been times when I've frozen the syrup to use for this purpose. 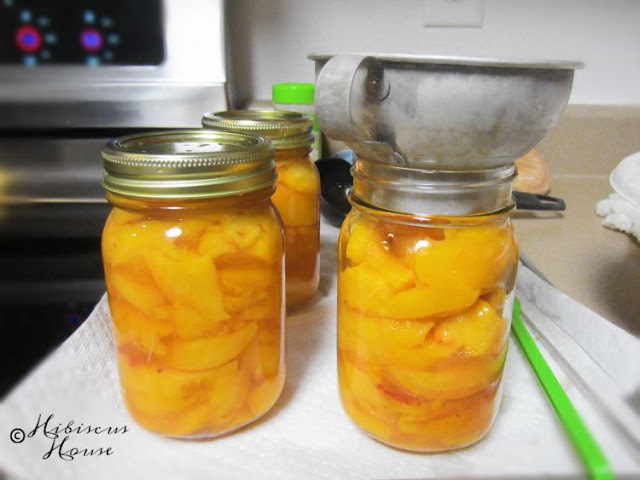 You can make your own peach syrup by choosing light, medium, or heavy syrup. You can see some mixtures Here. I used this mixture for my syrup 5 cups water plus 3 1/4 cups sugar because I like it sweet. You can adjust your measurements when making a small amount of course. Heat syrup stirring on medium setting, until dissolved. Add Realemon juice about 2 tablespoons to the syrup. Peel and chop your peaches into bits, add them to syrup and simmer until soft. Store until using. Refrigerate for up to 2 days, or freeze. 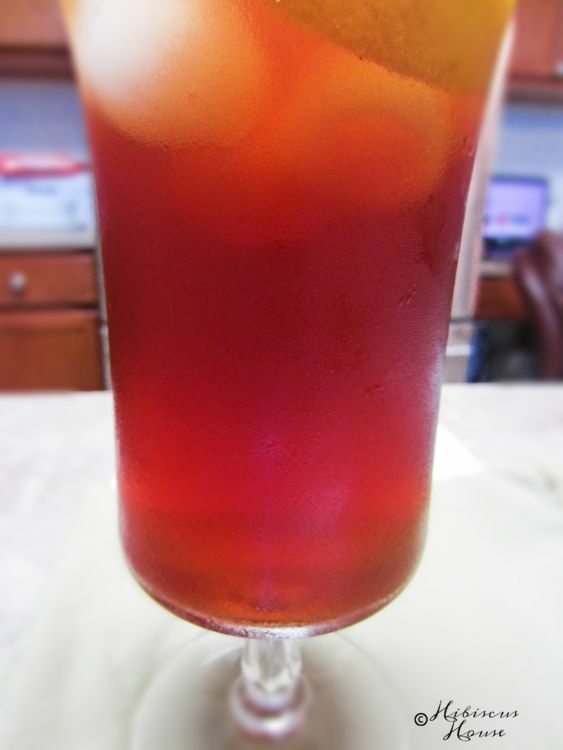 Cook your sweet tea as usual, but before adding sugar or cold water, add some of the syrup. Carefully taste, because it will be hot, adjust accordingly and add sugar if you need. Stir well. Another choice: you can also find Peach Nectar where the juices are in some groceries for another easy way out. Add some to your tea. I personally prefer the tea Bag method to all. Sorry for the lengthy post, but as you know Sweet Tea in the South is a major subject! We all have our way of making it and if you ask me all are good. I don't drink Peach Tea all the time, but occasionally for a change I sure do!